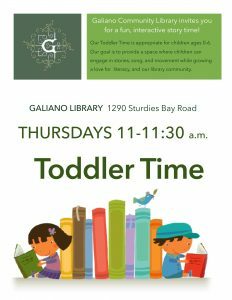 The Galiano Community Library invites you for a fun, interactive story time! 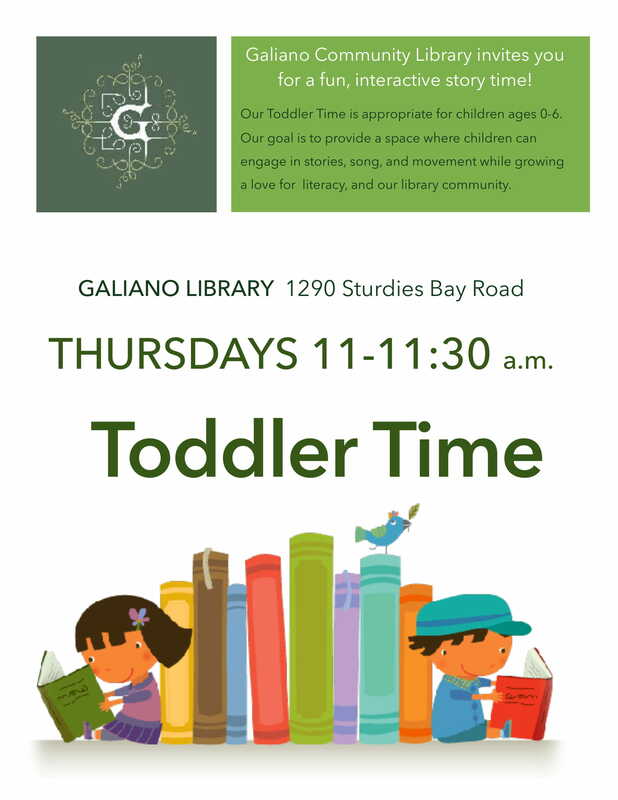 Our Toddler Time is appropriate for children ages 0-6 years old. Our goals is to provide a space where children can engage in stories, song, and movement while growing a love for literacy and our library community. Children must be accompanied by a parent or caregiver. Free event, all welcome!